Hidden Solutions | IS YOUR SOLUTION HIDDEN IN PLAIN SIGHT? SOLUTIONS THAT ARE RIGHT IN FRONT OF YOU! 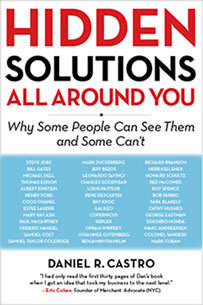 “If you want to see the world through the eyes of a serial entrepreneur, read this book. It will open your eyes to see opportunities you never knew existed. "Dan Castro knocks the cover off the ball. This book got me so stirred up, I want to go out and do it all over again. Once you start reading it, you won't put it down!" -Red McCombs, Founder of McCombs Enterprises. Introduction: How Far Will Your Arrow Fly? 1. The Question Is Why? 2. Can You Believe in Something You Cannot See? 3. Are There Ideas in The Air? 4. Why Do We Look Without Seeing? 5. Why Do Even The Experts Miss The Obvious? 6. Does The Brain Have Its Own Eye? 7. Can You Enhance Your Sense Awareness? 9. How Does Your Focus Affect Your Beliefs? 10. How Do Your Beliefs Affect Your Biology? 11. How Does Your Focus Affect Your Beliefs? 12. Are Your Words Limiting What You Can See? 13. Why Do We Create Our Own Truth? 14. How Do We Turn Background Noise Into Information? 15. Can You See The Hidden Connection? 16. Is It Okay To Wander While You Wonder? 17. Can You Think In 3-D? 18. Are You Blinded By Logic? 19. Why Do Outsiders See More Solutions? 20. Can You See What You're Not Looking For? 21. When Is It okay To Be Addicted? 22. How Do You Get Off The Hamster Wheel? 23. Can You find The Seam In The Armor? 24. What If You're Out Of Options? 25. What If You could Change Your Brain? 26. When Is It Okay To Be Obsessed? 27. What's Your Big Enough Reason Why? 28. Is There A Way To Level The Playing Field? 29. Can You Create Value Out Of Thin Air? 30. What Are You willing To Walk Away From? 31. What Solutions Are All Around You Right Now? Bloomberg BusinessWeek calls Dan Castro a “serial entrepreneur.” In fact, Dan Castro is an award-winning author, an attorney, and serial entrepreneur who has built a law firm, a real estate brokerage, a property management company, a loan servicing company, a marketing company, a real estate investment company, and a workshop call THE HIDDEN MONEY AT YOUR FEET. 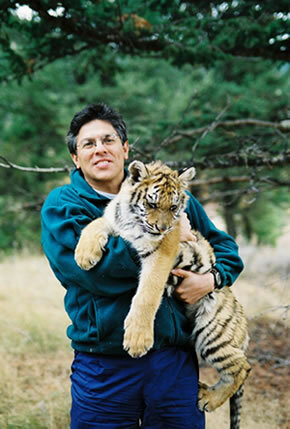 His first book, Critical Choices That Change Lives won several awards and is now selling all over the world. After Dan’s first book came out. Fortune 500 companies and non-profits everywhere began asking him to share his insights and wisdom in keynotes and workshops. 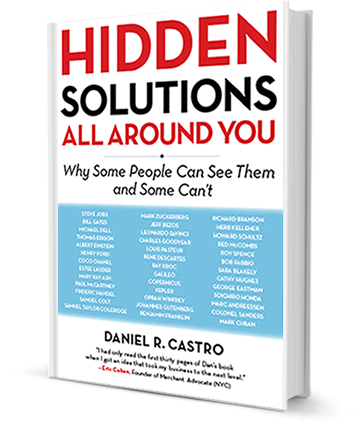 Dan Castro and his team of HIDDEN SOLUTIONS experts from virtually every industry can examine your business practices with fresh eyes and point out obvious solutions and hidden ways to make more money that you may be missing. They can also coach you and teach you how to do what they do.